There are many challenges for the Christian to patiently endure, in the midst of trials and tribulation. Believers are exhorted to be diligent in the faith and strive to be approved unto God – a worker that does not need to be ashamed before Him. The urgency of this message becomes increasingly intense as Paul’s life draws to a close, and none more so than in this final letter to Timothy, his beloved ‘son in the faith’. Jesus taught that false Christs, false prophets and ravenous wolves in sheep's clothing would arise and mislead many - even the elect of God. Indeed, while Paul was alive, many false teachers had already infiltrated the church, with the explicit intent to destroy Christianity and Church-age doctrine - most of which was given through God's holy apostles and prophets, and recorded in the New Testament epistles. 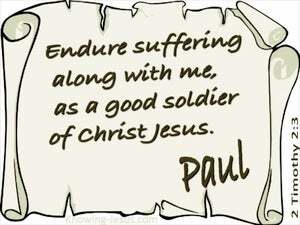 Paul’s life is getting near to its end and he has experience many different kinds of hardships and sufferings in His life – for the sake of the gospel of Christ. He was told at the start of his ministry that he would suffer many things for the name of the Lord Jesus, and what a catalogue of trials and tribulation have been listed, in his various epistles. As believers, we have been given many precious promises - not only those that relate to our justification, but also promises in connection with our sanctification. At salvation, we were born-again at a particular time and particular place - by faith in Christ for the forgiveness of our sins and life everlasting. But as born-again believers we also have many promises connected with our ongoing, life-long sanctification. 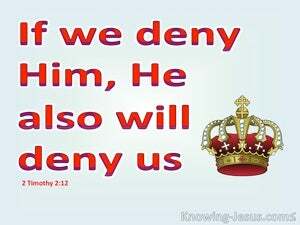 We base our faith on the veracity of the Word of God. 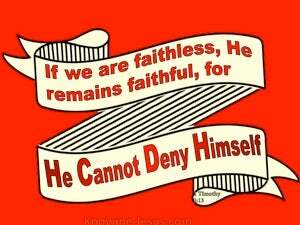 If God were a liar - (and He is NOT), then our faith would be founded on a very flimsy foundation. However, one of God's characteristics is truth, and the Lord Jesus Himself, reinstated one very important fact: I AM the way. I AM truth - I AM life. No man cometh unto the Father, but by Me. 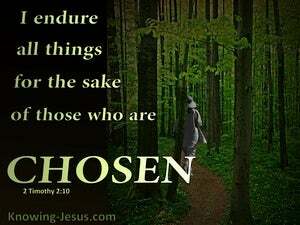 It is to God not to man that we are to diligently study in order to show ourselves approved. What is man that we should be mindful of what man thinks of us – too often the gospel truth, to which we hold fast, is foolishness to the world of men and can also be distorted by the finite thinking of many theologians. The spread of false doctrine in the church is likened to a cancer that spreads and infects the physical body, which finally dies. 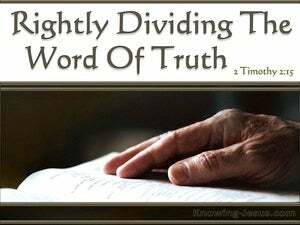 The church of God, individually and corporately, should rather stand fast on the firm foundation of Christ Jesus our Lord - and should shun every kind of evil thought, unkind words, ungracious action or selfish motive. 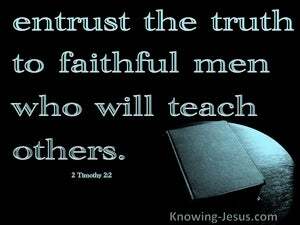 Though Timothy was younger in the faith than Paul, he had a spiritual maturity, that equipped him for the pastoral work that was entrusted to him. However, the old apostle knew the wily ways of the devil, who prowls around as a roaring lion, seeking to shipwreck the faith of all God's children, through the lust of the flesh and the pride of life. 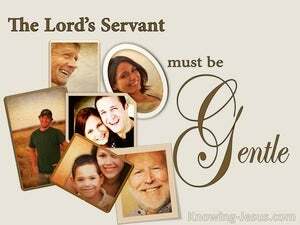 We are called to be bond-servants of the Lord and as such are not to follow our own wishes but those of Jesus Christ our Savior. 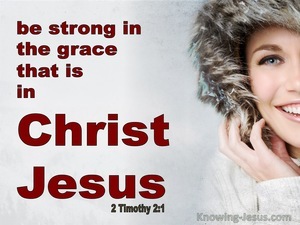 As His servants we are all called to share the truth of the glorious gospel of grace, despite the fact that the life of a believer is far from easy.